Upper Pennisula Photo Archives and Events | Upper Peninsula of Michigan Radio - Yooper News, Interviews, Pictures, and Calendar of Events - Great Lakes Radio, Inc.
Lower Harbor Park – A teen duo, The Goldmine Girls, advanced to the Regional Final of Great Lakes Radio/Texaco Country Showdown. Ten singers competed for a slot at the Regional Contest in Escanaba for a chance to win at $1000.00, and perhaps go on to the National Contest In Nashville for a chance to win $100,000.00. Marquette – Residents and visitors lined both sides Washington Street. The parade started from McClellan Avenue and ended at 3rd Street and Baraga Avenue in downtown Marquette. 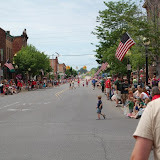 Spectators filled every opening, as well as Harlow Park, along the parade route to view the Parade of U.S. armed services, public safety and fire department vehicles, as well as a number of schools, bands, theater troupes, and others tossing candy to children, a typical U.P. community celebration. Ishpeming, MI – Photos from Ishpeming’s Festival of Treasures along with the Texaco Country Showdown, won by Haylie Richer of Marquette. This was the first Showdown event of the year. Head on over to WFXD.com for entry information for more upcoming Showdown events! Walt Lindala of Great Lakes Radio, Inc. hosted the music contest that took place at the festival on July 1st, 2011. It was a great time at the 2011 Trenary Outhouse Classic! Lots of people turned out and the race certainly delivered! Here are the photos taken at the 2011 Trenary Outhouse Classic!